Thomas Paine (1737 to 1809), the author of Commonsense, The Rights of Man, etc was perhaps the most influential radical writer these islands have ever produced. He took part in the American and French Revolutions and almost started a British Revolution. Forced to flee his native country in 1792 he never returned and died in the USA. In the 1820s the followers of Richard Carlile (who called themselves Republicans) began celebrating Thomas Paine’s birthday at the end of January. 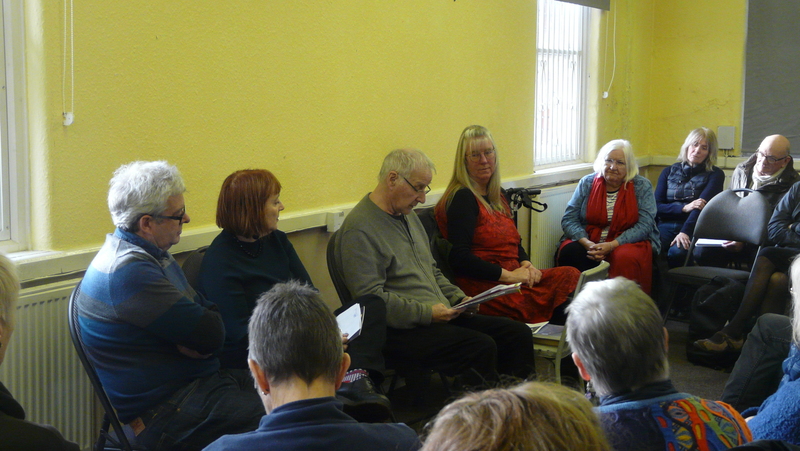 We decided to revive the custom and organised a joint event with the Working Class Movement Library which took place in the Annexe at the library. 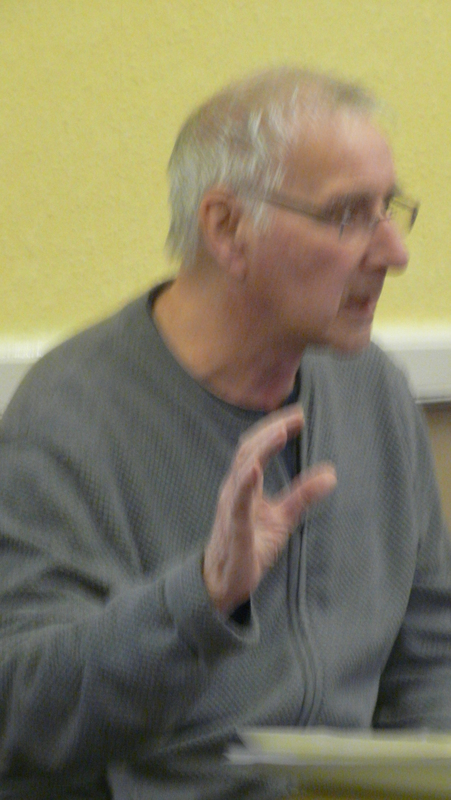 Michael Herbert, a historian and organiser of Red Flag Walks, spoke about the celebrations of Thomas Paine’s birthday by radicals in Manchester, London and elsewhere, who held dinners with numerous toasts. 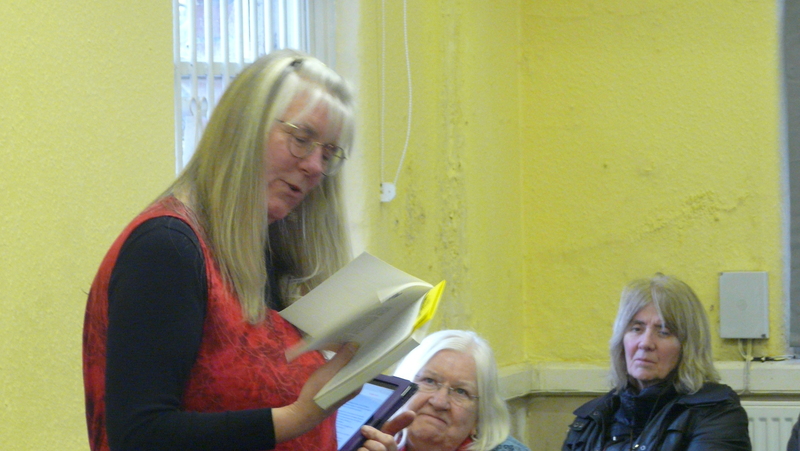 Mandy Vere from Liverpool’s News from Nowhere bookshop, spoke about the history of the shop, founded in the 1970s, how it had faced and survived many challenges, and its contribution to the radical culture of the city which continues to-day. Trevor Griffiths, author of a play about Thomas Paine, These are the Times. Trevor was born in Manchester and has written extensively for televison, film and the theatre from the 1970s onwards. His other work includes Occupations, All Good Men, Through the Night, Comedians, Reds (1981) (directed by Warren Beatty), Food for Ravens and the series Bill Brand (1976) in which Jack Shepherd starred as a left-wing Labour MP. 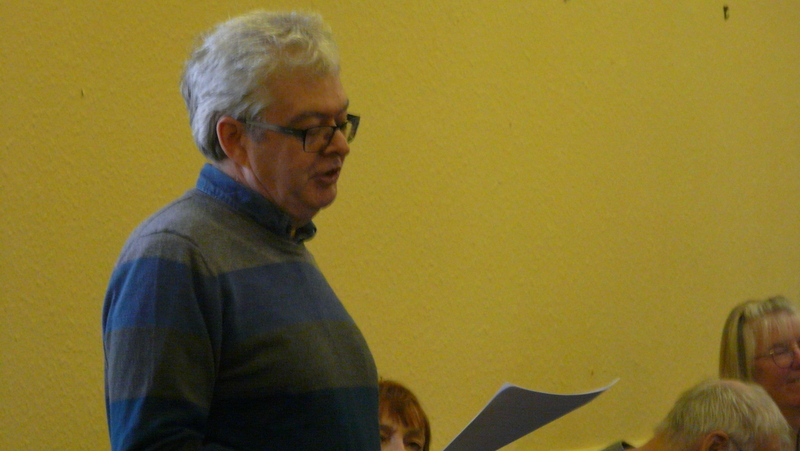 Trevor spoke about the importance of Paine’s work and thought and read some extracts from his play. The speakers were followed by a discussion with contributions from the audience. Geoff Brown proposing a toast to workers on strike. We then adjourned to the main building where we enjoyed tea and cakes. David Ward from the Thomas Paine Society then proposed a toast to Thomas Paine and this was followed by a number of others. 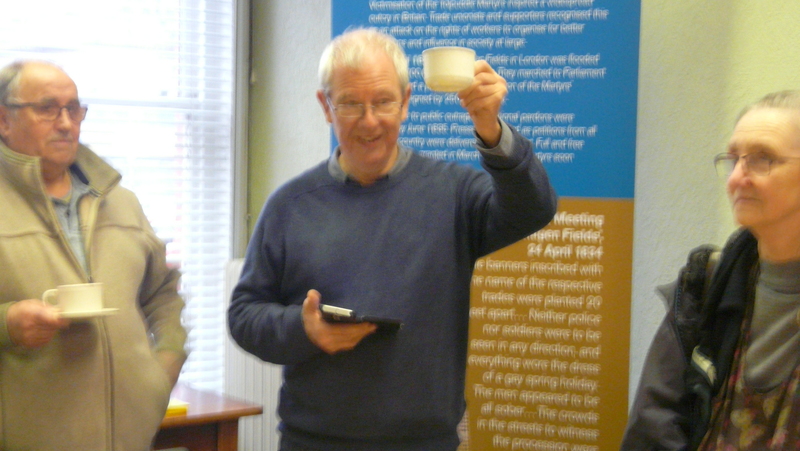 Our thanks to Royston Futter, Trustee of the WCML, for opening up the library and his assistance in making the event success, and to Gill Griffiths, and to Suzanne Bury for her homemade biscuits. The WCML has a very good Thomas Paine collection which is open to readers by prior appointment.